The Indian Hotels Company Limited (IHCL) and its subsidiaries are collectively known as Taj Hotels Resorts and Palaces and recognised as one of Asia’s largest and finest hotel groups. The Taj Mahal Palace, Mumbai was born out of Jamsetji N. Tata’s dream. Mr. Tata believed that Bombay (now Mumbai), the commercial capital of India, required a grand hotel, one that would enhance its reputation amongst the great cities of the world. 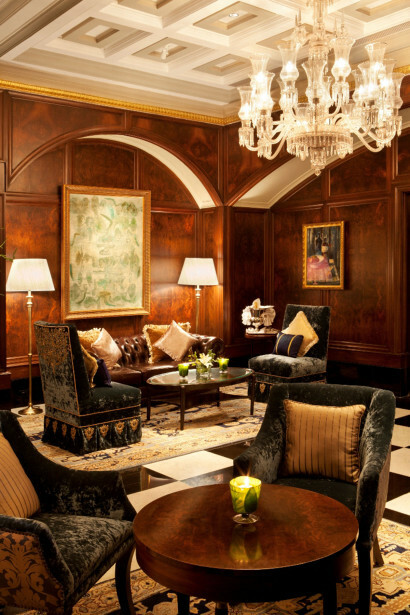 The hotel reopened after painstaking restoration in 2010. Since 1903, The Taj epitomizes timeless luxury, discreet and attentive service and meticulous attention to detail. Our legendary hospitality is always genuine, attentive, passionate, caring and warm. The Taj Mahal Palace is a Mumbai landmark, situated close to the bustling Colaba Causeway, near Regal Circle and minutes away from the commercial hubs of Fort and Nariman Point. 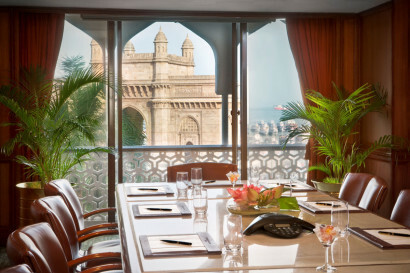 Close to The Taj is Mumbai’s historic precinct, with its Indo-Saracenic and Victorian architecture and tree-lined roads that lead to the sweeping seaside promenades of Apollo Bunder and Marine Drive. The area is peppered with myriad entertainment options from dining to drinking, cinema and sports to centres of culture. 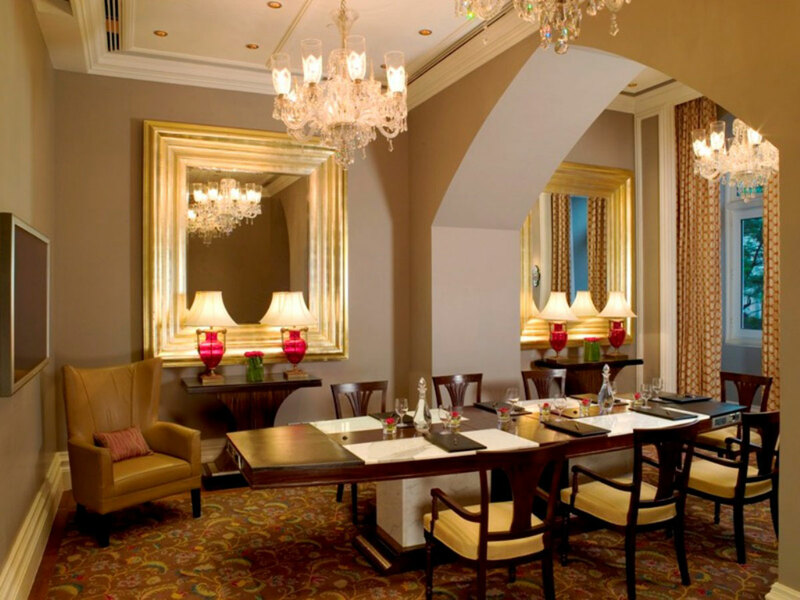 Ideally situated, the Taj is a sought after address for the tourist or business traveller. • The first maharaja to stay at the Taj was His Highness Major Sir Ganga Singh Bahadur, KCIE, the magnificently mustachioed Maharaja of Bikaner. • The magnificent central stairwell that had been inspired by F. W. Stevens’ design for his central dome in the Victoria Terminus. 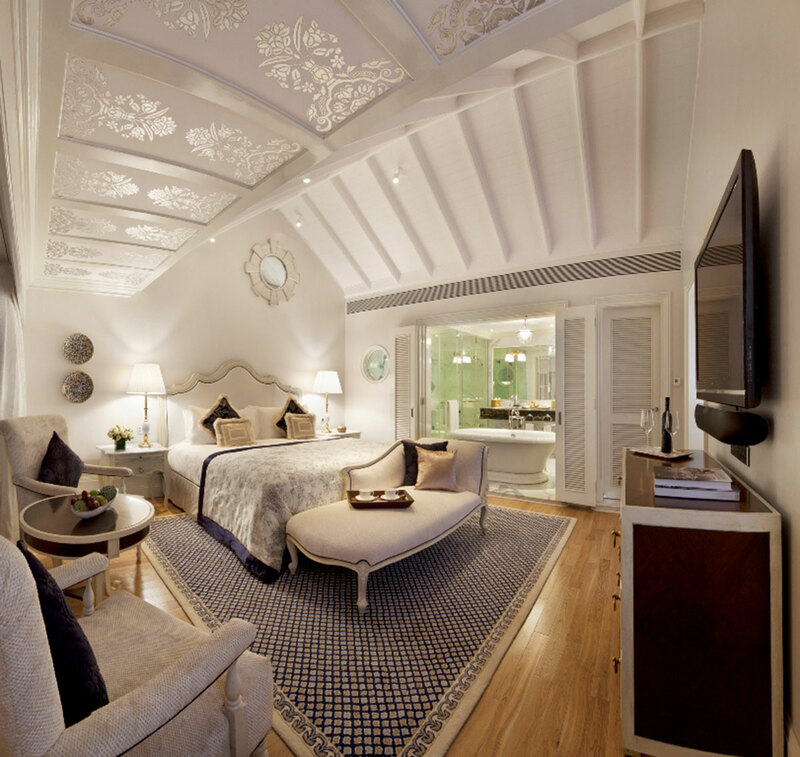 The rooms in the Palace and Tower wings reflect the heady fusion of true Indian hospitality and the Taj’s world-class service and facilities. 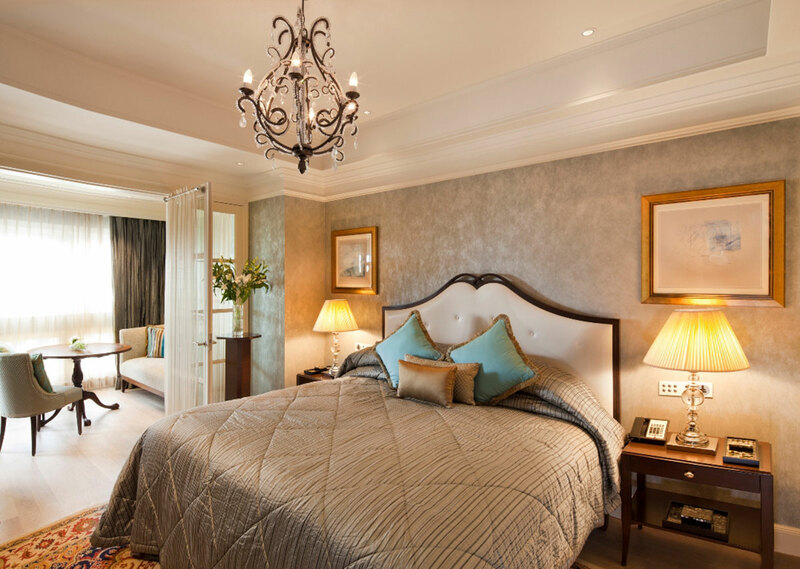 The world traveller’s every need has been subtly incorporated into the luxurious environ. Though conjoined, the wings have distinct personalities and will appeal to those with disparate requirements. Art and grandeur accompany you even as you walk down the hotel’s corridors or along The Taj Mahal Palace’s iconic cantilevered staircase. To paraphrase the hit Eagles song: “You can check-out any time you like, but you can never leave”. 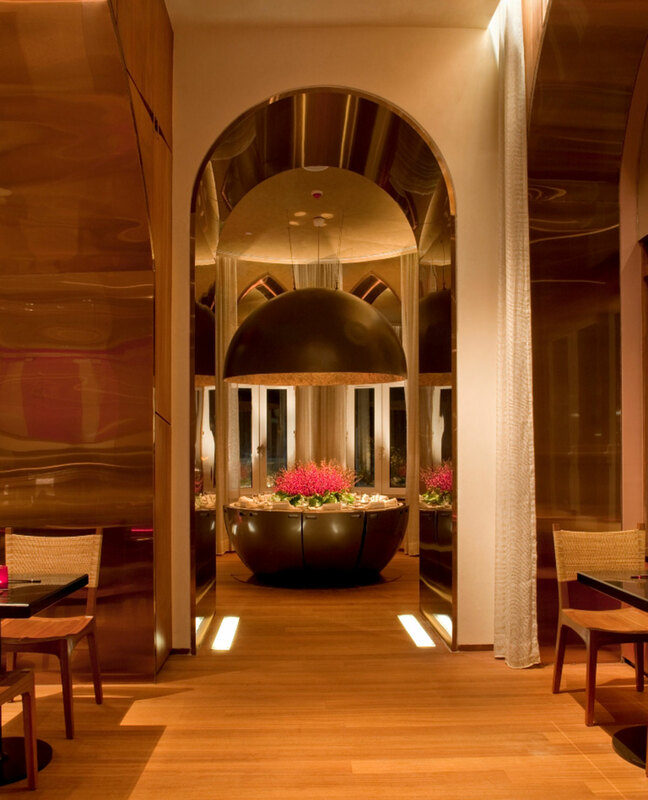 The Taj prides itself on consistently leading and pioneering innovative dining options. 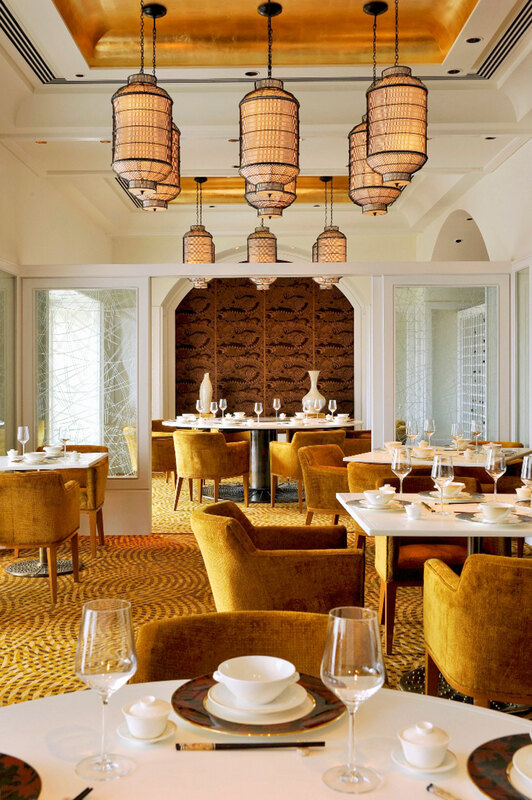 This extends to the remarkable range of food and beverage options available between the Palace and Tower, many of which enjoy the distinction of being firsts: first ever licensed bar and first all-day-dining restaurant included. Recognising the adventurous spirit of its well-travelled patrons, The Taj notched up another first by opening an exceptional Japanese restaurant. The cuisines on offer throughout the hotel span the globe from Indian to the Mediterranean, French to Sichuan. Indian wellness treatments, yoga and meditation are available in the calming ambience of the Jiva Spa, the ideal way to unwind and enjoy some me-time. Imagine conducting discussions and debating future strategy with a view of the Gateway of India. The tastefully decorated, modern and advanced business centre and conference rooms are equipped with updated communication and business equipment and resources, along with discreet hospitality to allow your meetings to be most productive. Provisions can be made for small meetings up to large conclaves of 500- plus people. 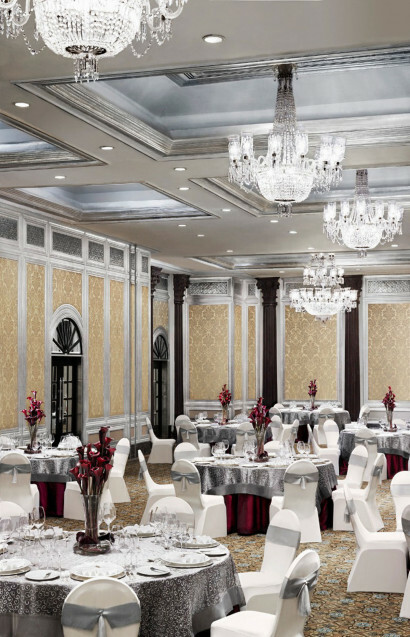 Along with Corinthian pillars and crystal chandeliers, the latest technology, high-end conferencing requirements and remote controlled facilities seamlessly coexist with a classic style. 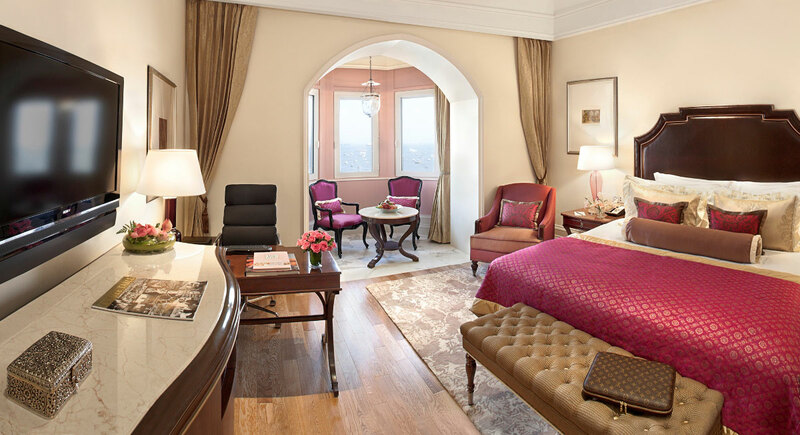 Stretching back to 1903, The Taj Mahal Palace, Mumbai, enjoys one of the grandest histories of any building in South Asia. 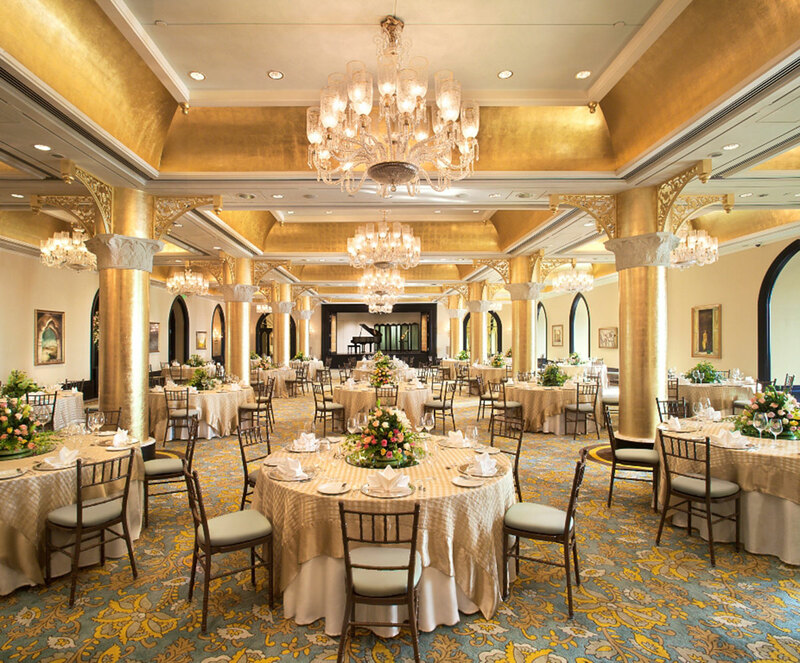 The art at the Taj has always been a defining feature of the hotel. 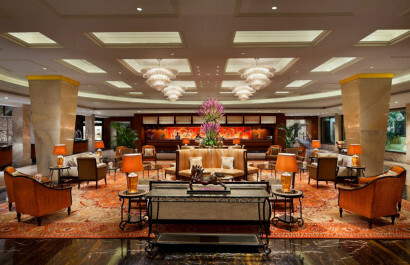 Adorning corridors, public spaces and the grand suites, the art collection traces the history of Indian modern and contemporary art since the mid-20th century. 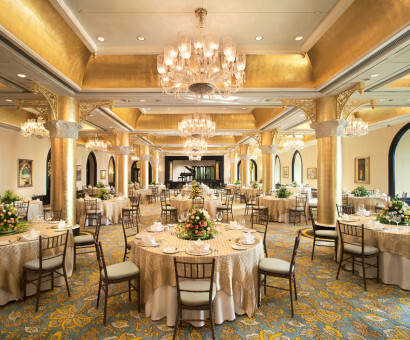 Since being founded in 1963, the Taj Art Gallery has operated at the heart of all art-related activities at the property. For many decades this gallery was one of the most important spaces in the country for artists to display their work. The re-opening of the Taj Art Gallery in 2016, with its strategic location in the heart of the city’s art district, coincides with a moment of great artistic activity in India, especially amongst emerging artists working with painting, sculpture and a range of experimental media.